Abbas spokesman condemns Israel’s announcement of new homes in Judea and Samaria, threatens the PA will take "necessary measures". 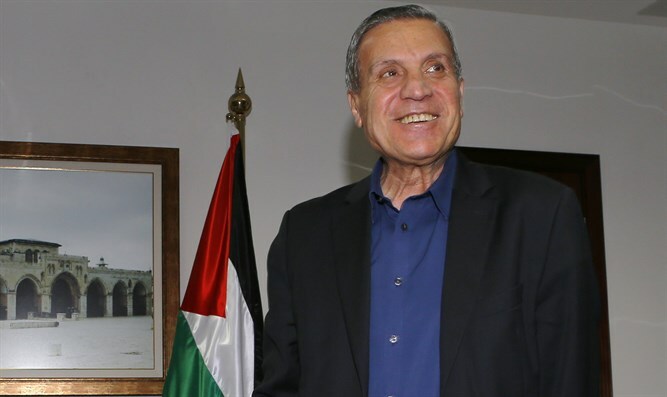 Palestinian Authority (PA) chairman Mahmoud Abbas’s spokesman, Nabil Abu Rudeineh, on Wednesday condemned Israel’s announcement of 3,000 new homes in Judea and Samaria. In a statement posted on the WAFA news agency’s website, Abu Rudeineh said the construction plans defy United Nations resolutions and international law. “We have started urgent consultations in order to take the necessary measures to confront the settlement activities,” he said. “We call on the U.S. administration to rein this Israeli government’s policy which is going to destroy the peace process,” added Abu Rudeineh. Israel unveiled plans for 3,000 new homes in Judea and Samaria on Tuesday, noting the announcement is in addition to the 2,500 units announced last week. The European Union’s (EU) foreign policy chief, Federica Mogherini, also denounced the construction approval, saying Israel’s announcement risks making a two-state solution “impossible”. PA officials blasted last week’s announcement by Israel as well, and particularly the Trump Administration’s silence which followed. Last Wednesday, PLO Secretary-General Saeb Erekat said he was "shocked" by the White House's silence on Israel’s construction announcement, and called on Trump's administration to clarify its policy. Shortly after Israel’s announcement of the construction plans, Erekat called on the international community to punish the Jewish state for the new construction.